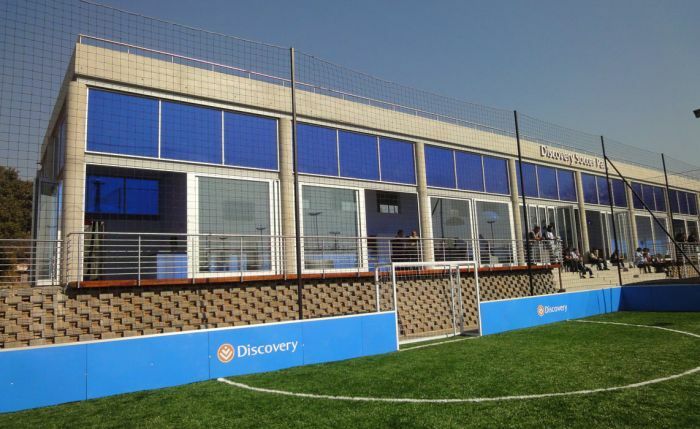 Wanderers Club, Johannesburg, 520sqm. 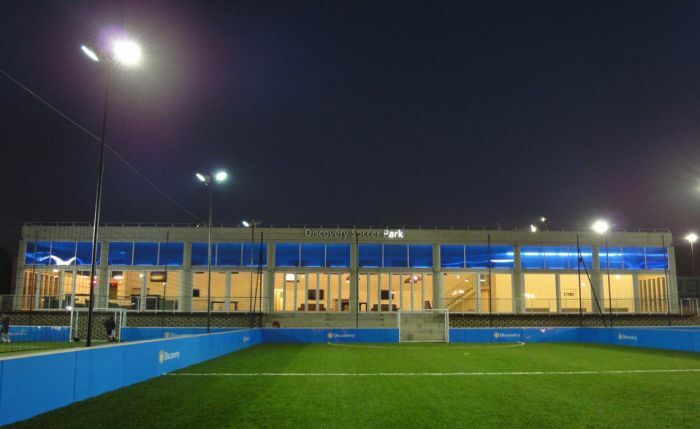 This is a clubhouse for competitive 5-a-side soccer. It was built in 3 months using mainly prefabricated elements. The structure sits on a Terraforce wall plinth. Its elevated position and the 30m glazed north-facing façade afford great views onto the playing fields as well as the city beyond. 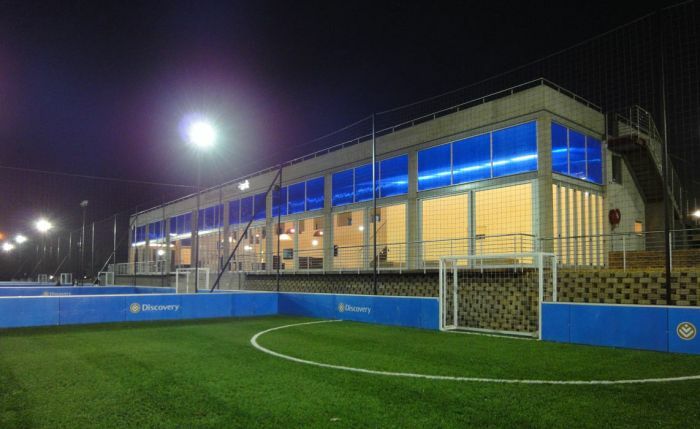 The clerestory infill panels (upper storey) are of blue multi-wall polycarbonate (the sponsors colour), which when backlit at night create a spectacular lantern effect.